I've been in Duck, NC with my cousins and some girlfriends for a long weekend. The weather has been so nice. We are having so much fun taking long walks, great food, fun and entertaining conversation, lots of chick flicks, shopping...a great time with these girls, I don't want it to end! Orphans with Makeup shares a Touch of Pink. 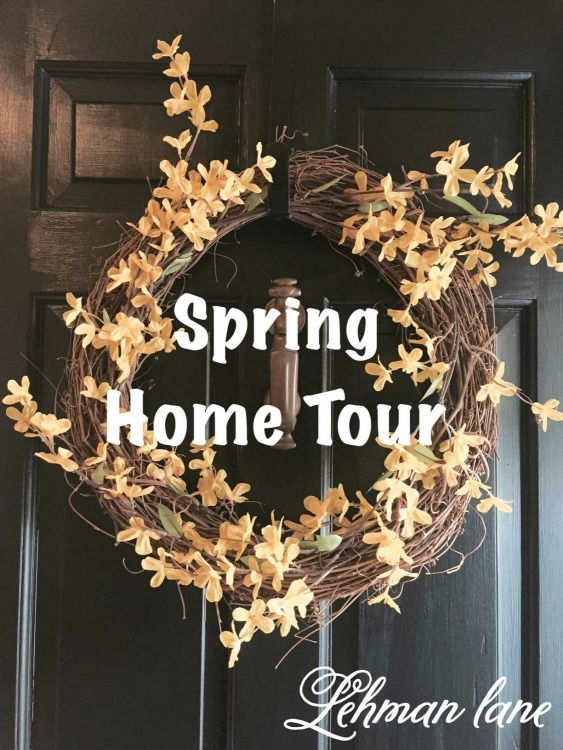 Lehman Lane takes us on a Spring Home Tour. 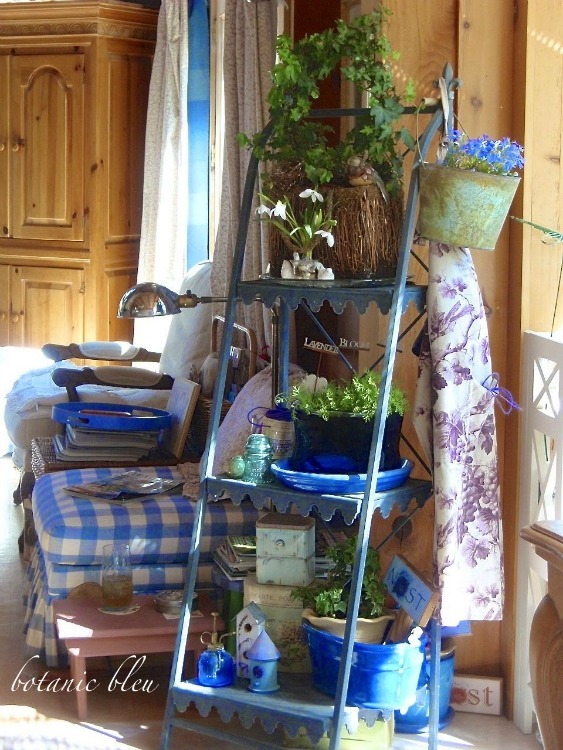 Botanic Bleu shares how she spruced up her Spring Plant Stand. Glad you're having such a fun weekend! Thanks so much for hosting another wonderful party! Your weekend with friends sounds like a lot of fun, Cindy! Enjoy! What a great time, having fun with cousins and friends - I love those kinds of trips! Have a great week coming too, and thank you for hosting us, Cindy. With spring in full swing now, the garden has been calling me and my husband, and we've been working hard - whew! How wonderful to get to spend time with family and friends during carefree, breezy warm weather days. Thank you for featuring my Spring Plant Stand Refresh. I am so honored to be included in this week's features. Thanks so much for hosting Cindy...have a wonderful week!! Sounds like the best kind of weekend! Thanks for hosting! Sorry! I clicked twice to crop and that's what I got! Thanks for hosting! Glad you are enjoying your weekend. Thanks for featuring my desk. So thrilled. Thanks for hosting the party, Cindy, and have a safe trip home! Hi Cindy, thank you for Amaze Me Monday 106. Lovely features, always. Have a great week. 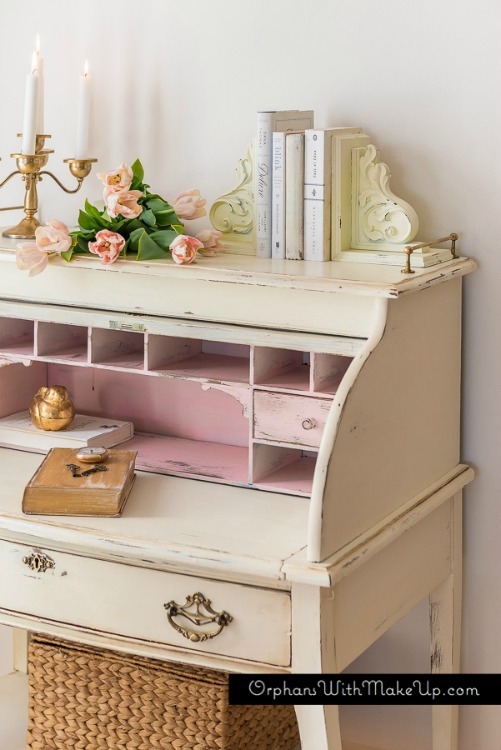 Oh that desk with the pink is so pretty! thanks so much for hosting, Cindy! Love that desk. I have one (that was mine when I was little) that needs to be redone. It was loaned out for many years and has been in storage. If I could just find someplace to put it! Thank you for hosting and sharing all of this beauty, Cindy. Hope you have a wonderful week! Hi Cindy, I found you through Diane @ Lavender Dreamer. This is my first time to link up; thanks for hosting. I just linked 2 posts but they are not showing up?? Thanks for the party, sorry I'm late my computer crashed last week and I've been in computer h..l! Ok, I still don't see them but I will take your word for it:):) Thanks for the party!! I am really embarrassed for my for first link up to your party. It must be a Monday thing...I uploaded the incorrect picture for my link on #103. It should be a picture of the stool and not another picture of the wreath. Sorry for the confusion. Thanks for hosting! I love the desk you featured...just gorgeous. Thanks for sharing. Hi Cindy, sounds like a perfectly sweet getaway. Hangin with girlfriends and cousins can be so much fun. Thanks for hosting. Happy Spring.